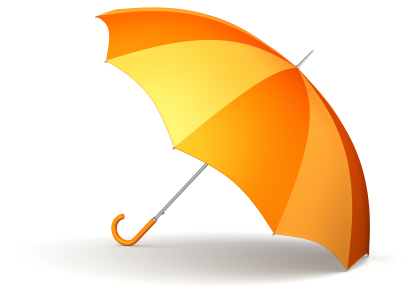 I love umbrella portfolios. I make no bones about it. They featured heavily in my previous post, “How to Structure a Sponsorship Portfolio”, but I think they’re an important enough element – for both strategic and workflow reasons – that it warranted addressing this portfolio management technique specifically. It is unrealistic to think that one or two people are going to be able to negotiate, manage relationships, leverage, and measure two hundred, or even one hundred, individual sponsorships. That’s not to mention dealing with all of the unsolicited proposals and voicemails. Streamlining the workload is the only way this is going to work. Well, either that or a wand. One of the biggest efficiencies you will be able to create is to bundle related sponsorships into an umbrella portfolio and leverage them as if they were one, huge sponsorship. You’ll still have to negotiate and manage the relationship, but developing and implementing leverage and measurement plans is very time-intensive, and with an umbrella portfolio, you only have to do it once. Have you got a few legacy sponsorships that really don’t work, but for political reasons, you can’t drop? Maybe some senior executive pet projects? Or a couple of badly negotiated deals, where the partner doesn’t give a crap whether the benefits really work for you or not? Or maybe you’ve got a few dozen (or a few hundred) tiny little rats-and-mice sponsorships – those sub-$1000, local sponsorships that you have to do, for whatever reason, but that don’t have the critical mass to be leveraged properly on their own? Umbrella portfolio to the rescue! With an umbrella portfolio, you are essentially creating one, large sponsorship around a theme, rather than an individual sponsorship. The whole thing has to work, but the individual components can be a mix of strategic and tactical, national and local, and of varying sizes and shapes. Even sponsorships that are ridiculously wrong can work as part of a larger umbrella, if they fit the theme. When I refer to “picking a theme”, what you’re really doing is basically creating a new brand, and partnering with that. So, instead of partnering with the brand, Byron Bay Blues and Roots Festival, you’re partnering with the brand, “blues music” or “music festivals”, and that particular festival fits into that brand. As your micro-site evolves, the bank of still-pertinent, legacy content will have target market relevance for years to come. Your brand may need grassroots opportunities. Positioning your brand as having local understanding and relevance could be very important to you. And, frankly, sponsoring a national organisation can be daunting. Don’t get me wrong, they can also be great partners, but some struggle to provide valuable benefits, or administer them, on a local level. And a few national organisations are so big, that they have fallen into the category of extremely self-important and inflexible. There are lots of reasons you may favour localised sponsorships, but if your brand is national or global, how you reflect that can be a challenge. Again, an umbrella sponsorship can be a strong answer. Imagine you created an umbrella themed around helping teens in crisis, and put that umbrella over the top of a whole group of charities and projects assisting teens. If there is good, credible content that is useful to a national audience, it doesn’t matter if it came from a teen crisis hotline serving only Cleveland. If one of the organisations you sponsor has a ground-breaking program to deal with bullying, and they’re willing to share advice with your larger audience, it doesn’t matter if the program currently runs only in Reno. If your home office employees participate in a teen homelessness “sleep out” charity event run by your local homeless mission, wouldn’t it be great to feature that to your larger audience? Using an umbrella program, you don’t have to look for the one or two major, national teen crisis charities, who may or may not be doing anything particularly interesting. You could, instead, make a point of seeking out innovators and outliers who are seeing success. There is a ton of marketing opportunity with local and grassroots investments. By leveraging them under an umbrella, you not only have the opportunity to create much larger returns for your brand, you are also elevating their organisation to a national stage, which is a big win for many of them. You can create leverage programs for staff, customers, potential customers, intermediary markets, or whoever you’re targeting. You can have different marketing, brand, geographic, or promotional focal points from year-to-year, or even at different times of the year. You could even create co-promotions with different retailers at different times of the year. If you have specific strategic, tactical, or regional needs, there is nothing stopping you from leveraging the whole umbrella and selected partnerships under that umbrella. You could give your staff or customers some control over what you sponsor – earmarking a dollar figure and putting it out for nominations and voting. If you need any assistance reworking your sponsorship portfolio, I am available for consulting and strategy sessions. Just drop me a line and we can discuss your needs and what I can do for you.